Archers are the typical ranged physical class. In Dragon Nest, this means they have phenomenal power. The worst part about being a melee class is being close enough to enemies that they knock you out of your attacks. Archers don’t have this problem. 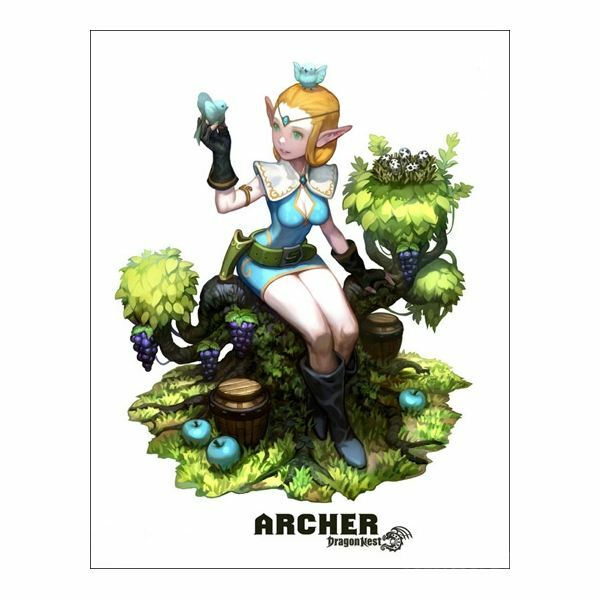 Nexon themselves state that Archers are one of, if not THE most damaging class in the game. They’re certainly the most damaging ranged class, given their competition is the Sorceress, who works best with elemental affinities and status effects. The archer is straight damage, all the time. Archers use three different weapons. A longbow, a shortbow, and a crossbow. Their secondary weapon is a quiver, which looks pretty at their hip and holds their arrows for them. This doesn’t mean you have an ammo count or special arrows – it just looks like it. Longbows have the longest range of the three weapons, but the slowest fire rate. However, every third shot they fire will pierce enemies. Shortbows fire a shorter range, but faster, and at a constant pace. No piercing shot, but no slowdown from it either. Crossbows fire the fastest of the three, but pause every few shots to reload. High damage. Everything falls when you shoot it. Long range. You don’t have to get close to enemies very often at all. Great speed and evasion. Even if enemies are close, you can dodge them effectively. Close range ability. The entire Acrobat tree focuses on close range kicks to juggle enemies that get too close. Low HP and MP. Even with enhancing your items, if you’re caught and juggled you’re pretty much done for. Low MP. Worth restating, because you’ll be spamming your skills, you need all the MP you can get. Relatively bad at PvP. You don’t have most of your best skills yet, so PvP is an exercise in dying to Paladins. Fragile. Worth repeated again, get trapped too close to enemies and you can be juggled to death before you know it. 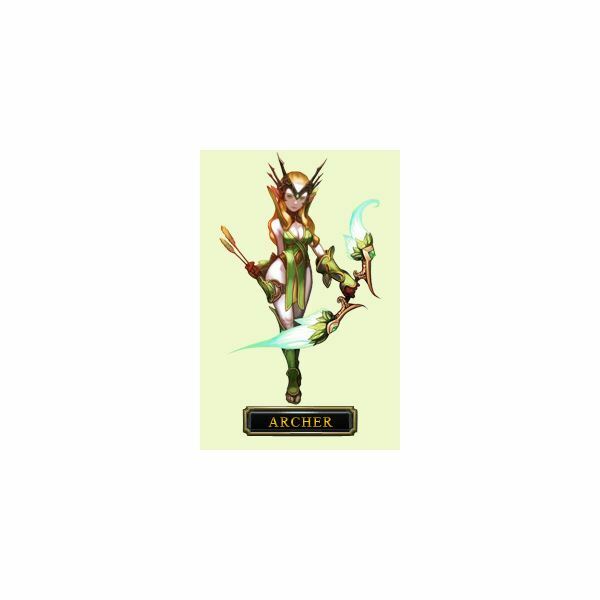 The Archer is the base class you play as from levels 1-15. You keep your skill page when you advance, and a second page is added for your subclass. It's up to you to decide how to split your SP among first and second job skills. Remember that you get a free SP reset when you advance at level 15, so your pre-15 decisions are less important. Afterwards, however, SP Resets are almost $20 in Nexon's cash shop. This makes your mistakes important and costly. If you want to jump ahead into making a build, check out the DNArmory skill planner. If you'd rather just read about the skills, read on below. You have the SP to add points however you like. You can max out everything pre-15 with points left over. Your mistakes don't matter with the free SP reset. More skills are better than a few powerful skills — always have something to do while skills are on cooldown. Subclass Information: Archers subclass into either Sharpshooters or Acrobats. 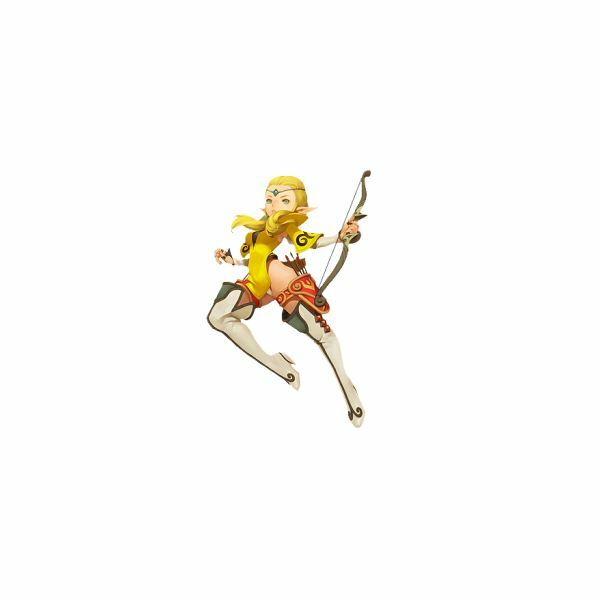 Sharpshooters are the longest ranged class in Dragon Nest. They launch projectiles from far away and rain damage down on their enemies. They work best when they have a party member that can draw the enemy attention away from them and keep them grouped up. Acrobats, on the other hand, forsake their long range abilities in favor of highly evasive and damaging kick skills and close range juggles. Played correctly, an Acrobat can keep the enemy from ever moving. Played incorrectly, and the Acrobat might not get a chance to move herself. Twin Shot: Twin Shot fires two arrows one after the other. It has a longer reach than your normal attack and can hit downed enemies. Piercing Shot: It fires one powerful arrow that can go through multiple foes to deal damage to a whole mob. Just make sure they're lined up. Spin Kick: Your default right-click attack. Right click to roundhouse kick enemies, boxes, or the air. Costs no mana. Pre-req for Moon Kick. Low Spin Kick: A Passive that allows you to right-click near a downed enemy to hit them on the ground and kick them slightly into the air. Useful for continuing juggles. More for Acrobats than Sharpshooters. Tumble: Your dash. Double-tap or shift-tap a direction button to dash in that direction. Useful for evading enemies because you don’t take damage when you’re dashing. Pre-req for Power Tumble. Level it to decrease it's cooldown. Moon Kick: Learned at level 4. Another kick passive. This one allows you to right-click in the air while jumping to kick downwards. Useful for utility or escaping juggles. Willow Kick: Learned at level 3. A skill that has you spin and kick enemies around and in front of you. Very useful, because it launches the enemies and leaves them open for further combos. Pre-req for High Spin Kick. A must for Acrobats. Multi Shot: Learned at level 5. An attack that shoots a cone of seven arrows in front of you in a large area. Effective for keeping your combo going, but the best damage is point-blank range. Pin Wheel: Learned at level 5. When knocked down, press the regular attack key to jump to your feet, kicking enemies away as you do. A must-have for recovery. High Spin Kick: Learned at level 8. After using Low Spin Kick, right-click a second time to kick and dash forward. Not very useful. Magic Arrow: Learned at level 9. Fires a damaging exploding arrow that hits an area and will stun enemies. Useful as an approach or to keep mobs pinned. Somersault Kick: Learned at level 6. Right-click next to a stunned enemy to deal a special attack to them. Not useful due to how long stuns last and how far away you should be. Power Tumble: Learned at level 10. A better version of tumble, that allows you to evade attacks even when paralyzed. Useful if you have the extra SP. Wisdom of the Owl: Learned at level 12. A self-buff that doubles your critical hit rate for a time. Only use it before strong enemies, because it lasts 15 seconds, but has a 60 second cooldown. Good for burst damage against bosses. Aerial Evasion: Learned at level 16. Press the jump key when you’ve been knocked into the air to do a mini-jump in mid-air, allowing you to use air kick abilities or just land on your feet and dash away. Invaluable for recovering from attacks. Level it to reduce its cooldown. Mental Fortitude: Learned at level 20. Passive that boosts your max MP. Useful if you have the SP sitting around. Pre-req for Attuned Mind. Fury of the Owl: Learned at level 35. A party buff with a 5 minute cooldown that increases your and your party’s critical hit rate by a whopping 600%. Only lasts 10 seconds, so make it count. Health Bolster: Learned at level 20. Passive that increases your max HP. Useful for survivability if you have the SP. Attuned Mind: Learned at level 30. Passive that gives you MP regen boosts. Allows you to last longer while spamming skills and use potions less frequently. Skill level information from DNArmory. Images Copyright Nexon and Eyedentity.